This is a difficult day for the more-than 800,000 people who have been helped by DACA. 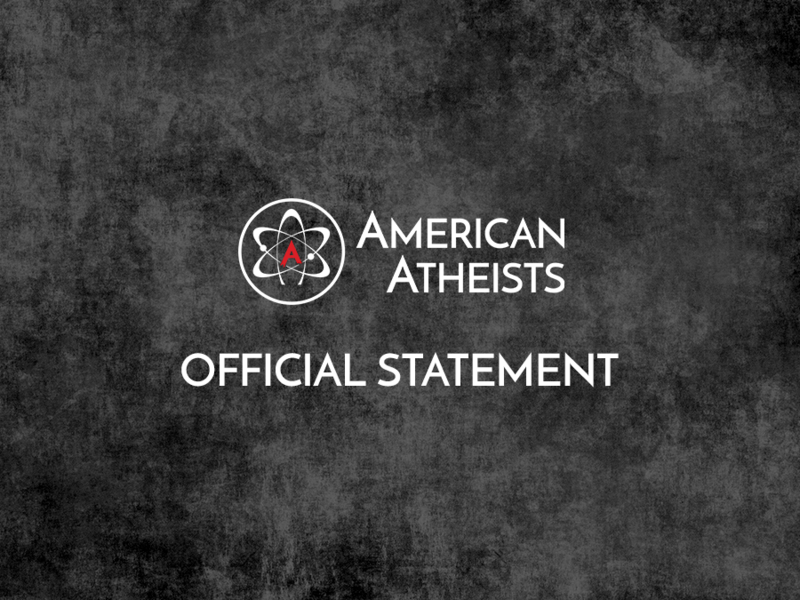 As atheists, we know that it is only through human action that the lives of those in our community can be improved. There is no question that DACA has improved the lives of the men and women brought to our nation as children and, indeed, strengthened our communities. This is about more than politics. This is about recognizing our shared humanity and celebrating the contributions made by all Americans, including those brought here as children. Just as our nation is made stronger by the diversity of religious views of its citizens, it is made stronger by its immigrants. I have no doubt that countless DACA recipients were brought to our nation because of our commitment to religious freedom, religious equality, and government neutrality. I fight to protect those commitments and I will fight to protect those who come to the United States in search of them. Just as atheists are your friends, neighbors, and classmates, DACA recipients are as well. This is an issue that impacts us all. I call on President Trump and Congress to act quickly to pass legislation that recognizes the shared humanity of these young people who are as much a part of our community as you or me. Threatening almost a million people with deportation does not make our nation stronger and is fundamentally at odds with our constitution’s promise of a more perfect union.